Big White Chalet Rentals Selection & Savings! 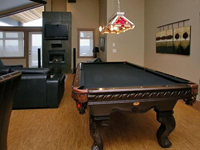 Find your ideal chalet rentals at Big White & get more value by booking direct with friendly Big White chalets owners. Avoid unnecessary middle agent fees & taxes. Use our large, fast, easy Big White rentals directory to view & instantly book owner direct ski chalets at Big White Ski Resort. See all Big White chalets we have! View detailed chalet rentals descriptions, photos, availability, rates & even friendly owner bios! Book online for an instantly confirmed reservation. Search by dates, amenities, location & more! Find your ideal ski chalets in less than a minute. View detailed description, photos & more. Send yourself a summary of your results by e-mail for future reference. See it before you book it online! Try a search now at the top of this page. In a hurry? Simply e-mail all relevant Big White Chalets owners & await responses over 0.5-48 hours. Its fast, easy & you get an e-mailed descriptive summary of your candidate properties for future reference!